Wow! Again, I can’t believe how fast another month has gone by. It’s only last week I celebrated my birthday. In this post, I wanted to give a shout out to my lovely daughter who knows me so well. This is the best gift ever! She knows that I love Dolly Wink liquid liners and the rest is history. I couldn’t get enough of this liquid eyeliners ever since I tried it. This could be a very possible contestant for the Sharon’s Beauty Awards. And for me to receive three of my favorites Dolly Wink, I was so happy I almost passed out. It’s the only liquid eyeliner that I will swear by. xD It’s fantastic! Keep reading to find out my entire thoughts about the eyeliner ~ It’s definitely a MUST HAVE eyeliner. In case you’re not familiar with the product and its origin, Dolly Wink is a Japanese brand produced by the Japanese model Tsubasa Masuwaka, who represents the Gyaru trend which literally translates to gal in English. Dolly Wink is a brand presented by Koji as you can see on all their packaging. I’ve this same liquid liner when my daughter first bought it back for me from Japan. I fell in love with it instantly. It’s exactly like the Kat Von D Tattoo eyeliner but so much better. Honestly, this is one of the best eyeliners I’ve ever used. Love this eyeliner. The brush is so easy to work with, it goes on black and the thin brush allows you to create a perfect smooth lines and sharp winged liner sections a breeze. The formula is very long lasting and waterproof. I could tell you this is the only product that doesn’t smudge and stay on even when I’m crying my eyes out (when I get emotion) – LOL. The shade I got is in Deep Black and although it’s not the blackest color I’ve seen, I can say it’s color is pigmented. I really like the cute packaging of this eyeliner pen. The product comes in a pink color pen with golden ornaments all over and a black cap. It makes my eyes look so flattering and bigger. Next I’ve the Dolly Wink Pencil Eyeliner in Black. A pencil type liner with a creamy soft touch. It’s break resistant and so easy to apply. As you know, I’m a sucker for cute packaging so this design is right up my alley. It’s so pretty and kawaii!!! I’ve been holding off to trying any pencil liners for the longest time since I couldn’t find a real easy to blend pencil eyeliner that would glide on like a dream. I did my first impression today (Sunday), and I’m in love with this liner. It’s so easy to use and I’ve no issues in drawing thin or thick lines. The color payoff is amazing and it gives a matte finish which I really appreciate. In the swatch above, the pencil eyeliner is matte while the liquid pen is glossy. If you’re into liquid eyeliner and likes to draw thin sharp lines, I think the first one is for you. I try to smudge it on the above picture, I hardly rub it and so glad it stayed! It won’t budge at all. I wore it from morning till night time and it lasted me for a good 12 hours wear. Good news is that even though it’s waterproof, it’s easy to remove using warm water or the eye makeup remover. So, for my first Dolly Wink pencil eyeliner (kohl) review, it’s a keeper in my makeup stash. I know I’m going to use it almost everyday. Here’s the look: Line my upper lash line with the pencil eyeliner, pardon the not so good line here. Dolly Wink Liquid Eyeliner in Super Black packaging version is red color pen with golden ornaments all over. It’s so cute and looks expensive. I love how the brush is very thin because it makes getting a precise line easy and simple. The tip applicator is identical to the Liquid Eyeliner in Deep Black. Making wings and cat eye liner is so, so quick with this eyeliner. Here’s a swatch of the colors. I really love how pigmented these eyeliners are. They’re smudge proof and dries quickly as claimed but the best part is – you can easily removed it with just warm water. Forget the fuss of makeup remover. It comes off easily. These eyeliners didn’t come cheap, it costs my daughter a whopping $45 for these three eyeliners. So based on the price of these eyeliners, they’re a pretty expensive eyeliner but Dolly Wink is a very popular brand in Japan so I’m not so surprised. Yes, they’re more expensive than the typical drugstore liquid eyeliner in the US but I promise they’re so, worth the price! I highly recommend this brand if you’re into pencil eyeliners. Have you tried Dolly Wink Eyeliners? And that’s all I’ve for now! Comment below if you’ve any suggestions or thoughts you’ve for my blog. I’m open to all your ideas! I hope you all have a wonderful day/evening. I love you and take care! I like these eyeliners. I love how they go on smooth and in a solid line. I will have to check DW out soon! I love the sound and look of these. Not sure if we can get the brand here though, will take a look online. I haven’t tried this brand, but I love experimenting with different eyeliners. I’ll have to check out this brand and see how I feel about it. I love how pigmented these eyeliners are. It sure will be more economical to purchase this because you don’t have to apply it many times to achieve the effect you desire. I will look for this brand at the store and online. Thanks for the review. I love liquid eyeliners and this looks nice. I just can’t get on with eye pencil, I don’t know why but it just slides right off my lids. I am so old school, lol. I still just use a pencil and only on my lower lid. I seriously need a makeup class or something! 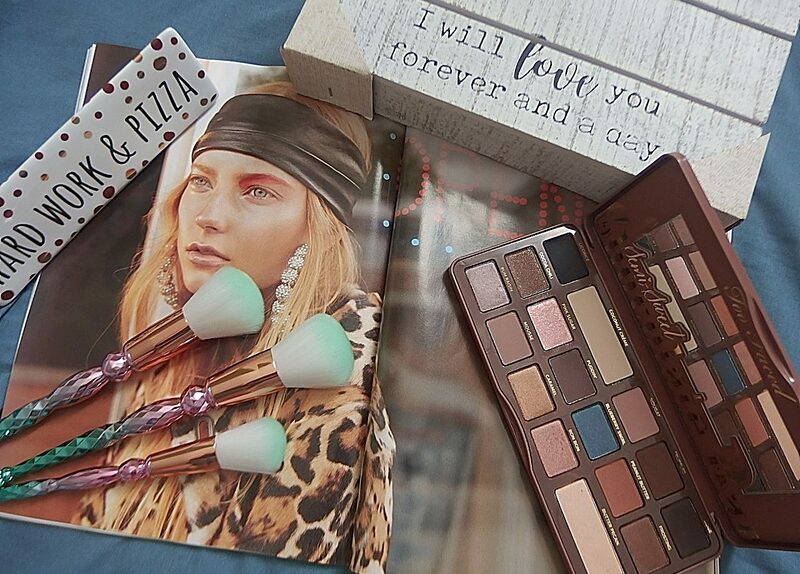 In love with all this pallet color! I need all of them right now! I haven’t tried out this brand. I will definitely check it out. Lovely packaging and I absolutely love thin eyeliner markers, I prefer thin subtle lines.